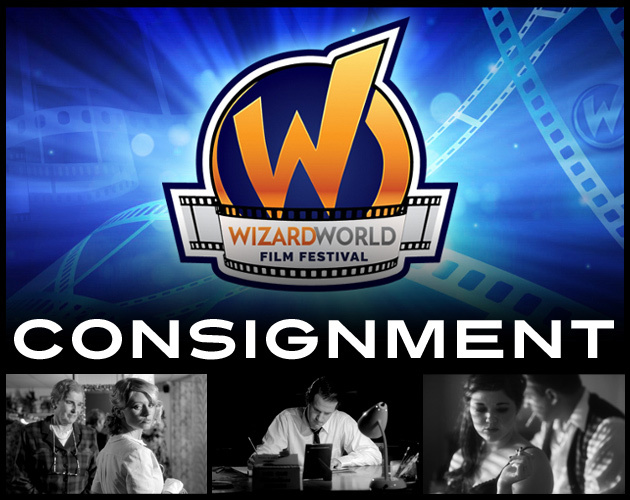 Justin Hannah's short film "Consignment" has been chosen as an Official Selection at the Wizard World Film Festival, taking place in Nashville, Tennessee on October 18-20. After the screening, writer- director Justin Hannah and star Abbra Smallwood have been invited to take part in a Q&A panel discussing the film. The Wizard World Film Festival is a touring festival held in conjunction with the Wizard World Comic Con tour, a pop culture tour across North America that celebrates comic books, movies, TV, gaming, toys and technology. Movies have always been a big part of the Wizard World experience, from superstar celebrity appearances to film screenings to blockbuster sneak peeks at its pop culture celebrations across North America. The goal of the Wizard World Film Festival is to take this a step further, showcasing the talent of local, national, and international filmmakers in all genres. The Wizard World Film Festival will include film shorts, student shorts and music videos. Screenings of the top entries in all categories will take place in programming rooms during the convention, held October 18-20 at the Music City Center. Admission is free to all Wizard World Comic Con attendees. Awards will be presented at the conclusion of each convention. In addition to the Film Festival, the Wizard World Comic Con will also feature appearances by comic book icon Stan Lee, Norman Reedus of “The Walking Dead,” WWE® Superstar Daniel Bryan® and “The Fonz” Henry Winkler. The roster also includes Bruce Campbell of Evil Dead, Eliza Dushku of Buffy the Vampire Slayer, Billy Dee Williams and many others. The event will also include celebrity Q&A’s, pop culture-themed panels and workshops, costume contests, movie screenings, evening parties and more.